Dean Anthony Julian Tamburri, Ph.D., was honored at this year’s annual Commission for Social Justice-B’nai B’rith Award Breakfast, on June 10, 2012, which was co-sponsored by the New York Grand Lodge Commission for Social Justice of the Order Sons of Italy in America and The Metro North Region of B’nai B'rith International, celebrating 31 years of solidarity between the two groups. Held annually to honor an Italian American and a Jewish American, each of whom has contributed in a positive manner to their respective communities, the event is a demonstration of unity between the Italian-American and Jewish-American communities. Dean Tamburri shared the honors with Dr. Marcia Weiss Posner, Ph.D., Librarian and Research Specialist, who is the Head Librarian at the Posner Memorial Library at the Holocaust Memorial and Tolerance Center of Nassau County in Glen Cove, New York. Before coming to the John D. Calandra Italian American Institute, Tamburri held the position of Associate Dean for Research, Graduate and Interdisciplinary Studies at Florida Atlantic University, where he also directed the Ph.D. Program in Comparative Studies. The author and editor of more than forty volumes, his latest books are Una semiotica dell’etnicità: nuove segnalature per la scrittura italiano/americana (2010) and Reviewing Italian Americana: Generalities and Specifics on Cinema (2011). 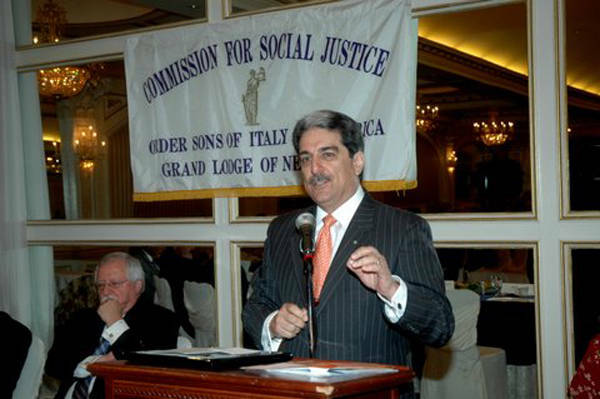 He has been Dean of the Calandra Institute since August 2006, having worked with staff to restructure the Institute by, among other things, expanding its public programming and Italics, inaugurating an annual conference, strengthening its research profile, and reissuing as a truly peer-reviewed publication in the Italian American Review. Tamburri was “deeply honored” for receiving The Lehman-LaGuardia Award, a recognition by such a significant pair of organizations the very nature of which exemplifies the model for inter-ethnic cooperation and mutual respect. In underscoring as much, Tamburri offered the Calandra Institute as a site for a winter event of these two organizations, during the last week of January, which is dedicated to commemorating January 27, Holocaust Remembrance Day. 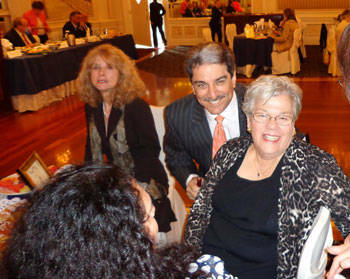 Tamburri joins a list of distinguished Italian-American awardees that includes Hon. Mario Cuomo, Matilda Cuomo, Hon. Donna Ferrara, Hon. Dominic Massaro, Uff. Joseph Sciame, and CUNY’s own Distinguished Professor Fred Gardaphé, among others. In addition to Queens College President and Mrs. James Muyskens, Tamburri was joined by colleagues from the Calandra Institute and Queens College, ILICA’s President Vincenzo and Director Suzy Marra, NOIAW’s founder Dr. Aileen Riotto Sirey, SUNY Stony Brook’s Distinguished Professor Peter Carravetta, and novelist, poet, and dramatist Richard Vetere. Also present was a contingent of settefratesi (Settefrati is Italy’s home town of the Tamburri family) who came from Stamford, CT and Long Island to join in the celebrations. Very much moved by this recognition, Tamburri sees The Lehman-LaGuardia Award as an ideal quinfecta in having been recognized in these past three years for his decades-long work dedicated to the study and promotion of Italian and Italian-American culture. 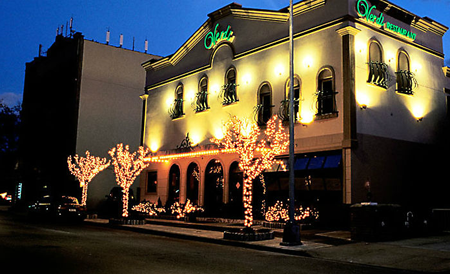 The other awards include: ILICA’s (Italian Language Inter-Cultural Alliance) “Frank Stella Person of the Year Award”; the Cavaliere dell’Ordine al Merito della Repubblica Italiana; “Amici della Cultura Italiana Award,” Snug Harbor Cultural Center; and Honoree for Special Service to the Community, The Garibaldi-Meucci Museum.